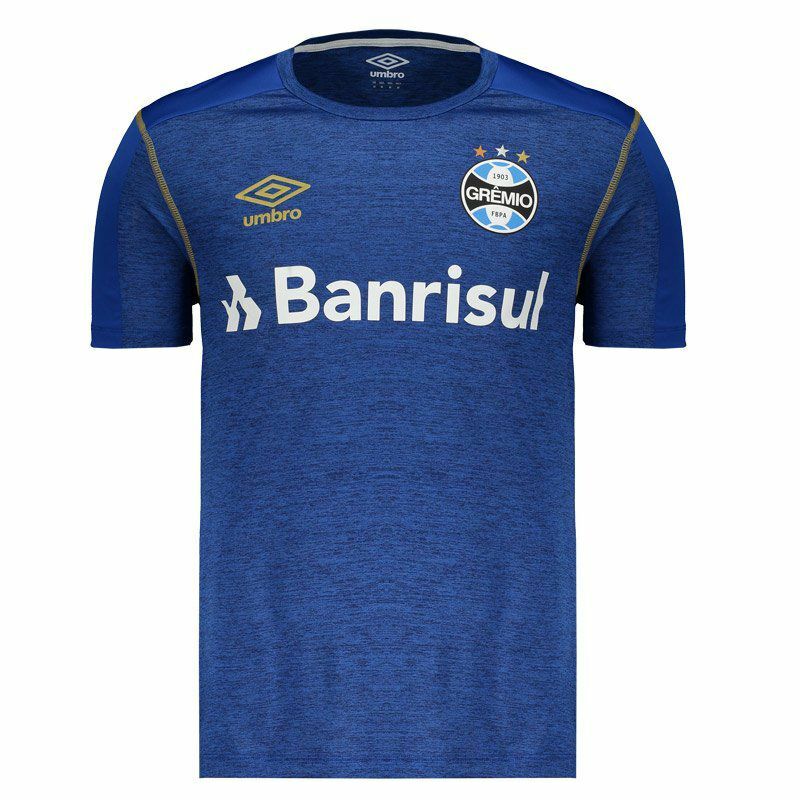 Manufactured by Umbro, Grêmio Warming Up 2019 Jersey is ideal for fans to wear their love of the club in comfort and style. 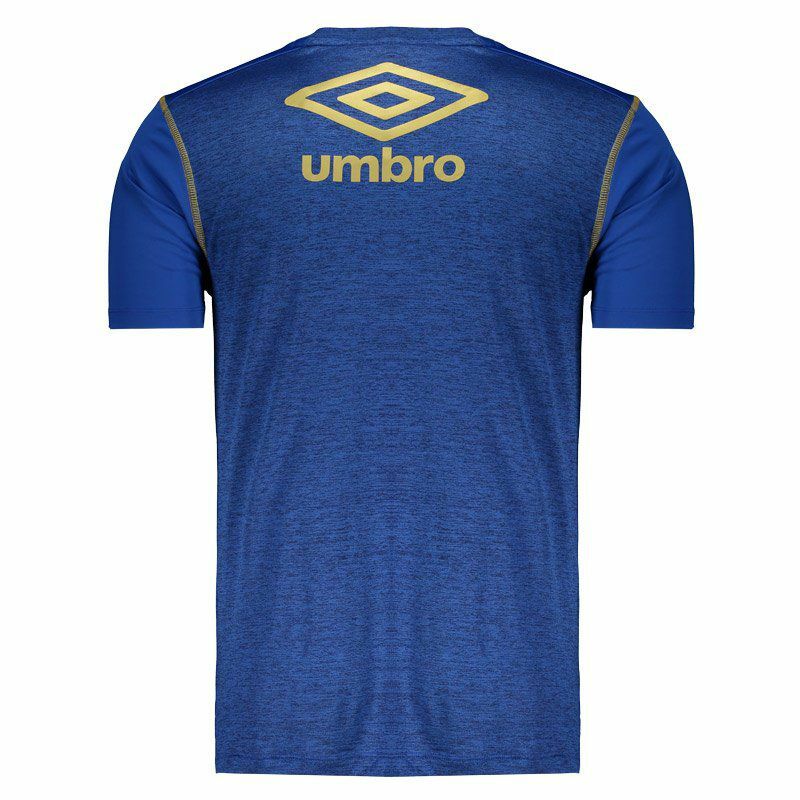 The piece has composition in polyester and spandex, offering name and number customization. More info. 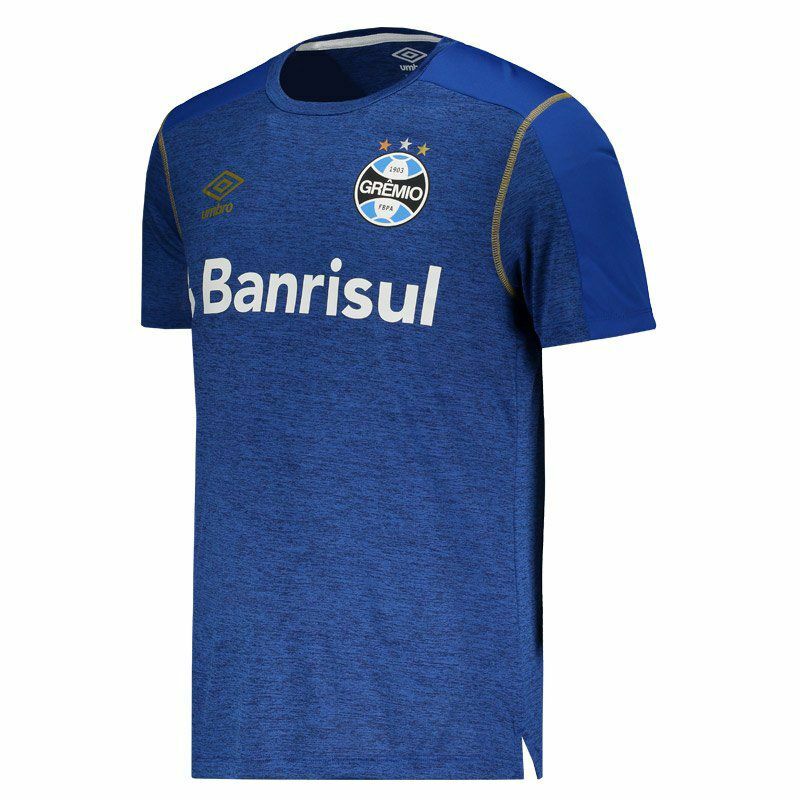 Manufactured by Umbro, Grêmio Warming Up 2019 Jersey is ideal for fans to wear their love of the club in comfort and style. The piece has composition in polyester and spandex, offering comfort and freedom to the movements. Its design features cutouts in the blue color and in addition to bring parts with blended effect with details in gold. 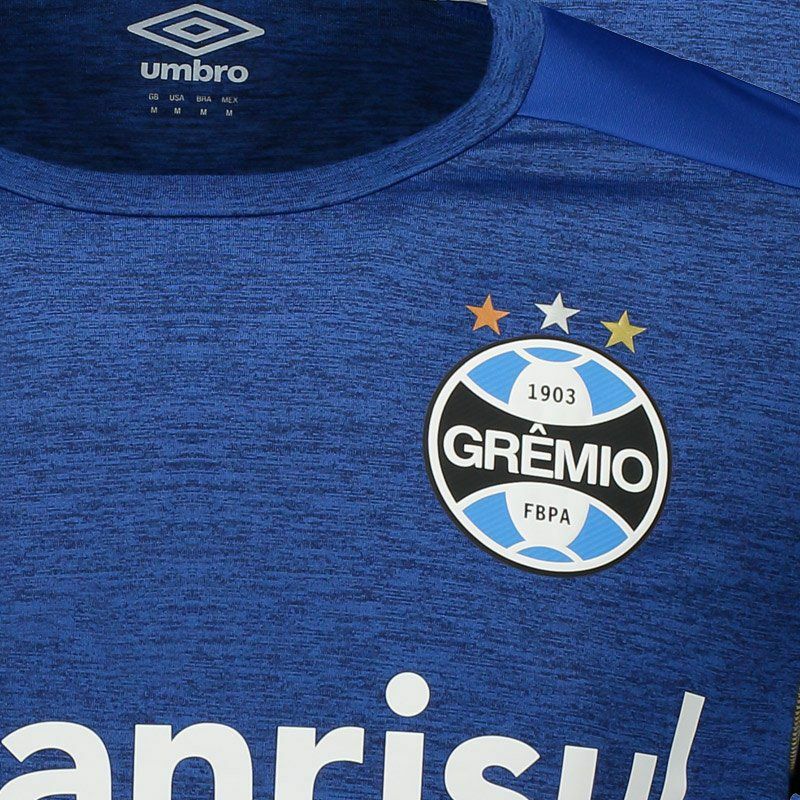 The club badge gets prominence stamped on the left side of the chest as well as the symbol of the supplier's brand, which is also seen on the back. Finally comes with sponsorship logo and its crew neck collar complements the details. Get it now!